Tomorrow, Spring students are leaving on the Himeji-Hiroshima-Miyajima field trip. 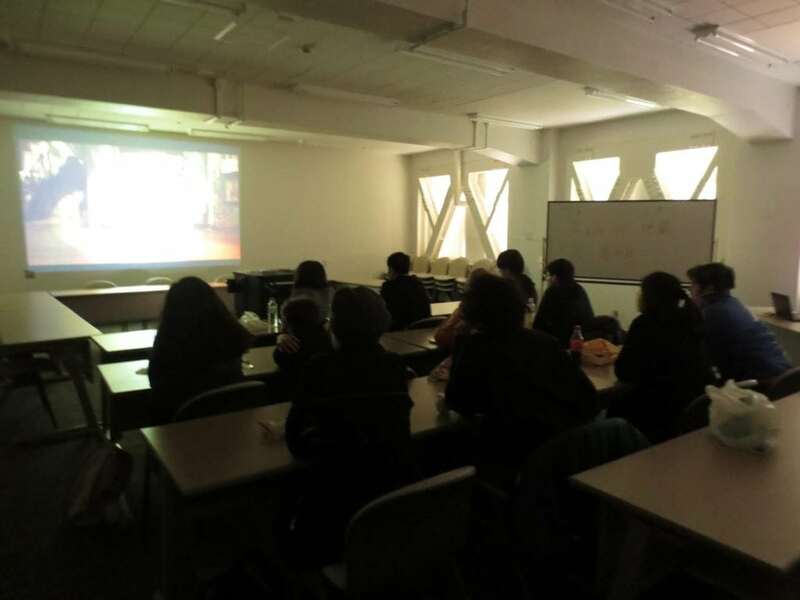 In order to give them some background on the subject, everyone watched a screening of The Face of Jizo, a film that takes place in post-war Hiroshima. Today in Imao-sensei’s class, five Doshisha students volunteered to take surveys written by AKP students. “Hours Spent Studying,” “Commuting to School,” “Your Favorite Stationary Items,” “A Change of Pace for College Students,” and “Your Favorite Animal” were the survey topics. Most AKPers were interested in the everyday lives of the Doshisha students. 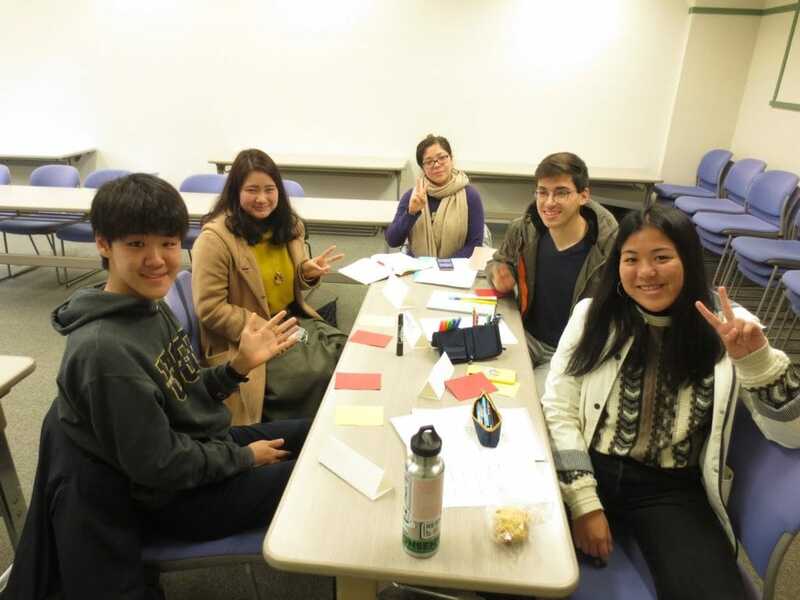 After answering the surveys, Doshisha students said they were able to learn more about the differences between Japanese and American culture. There were some interesting cultural exchanges from both sides! Volunteers, thank you for coming! 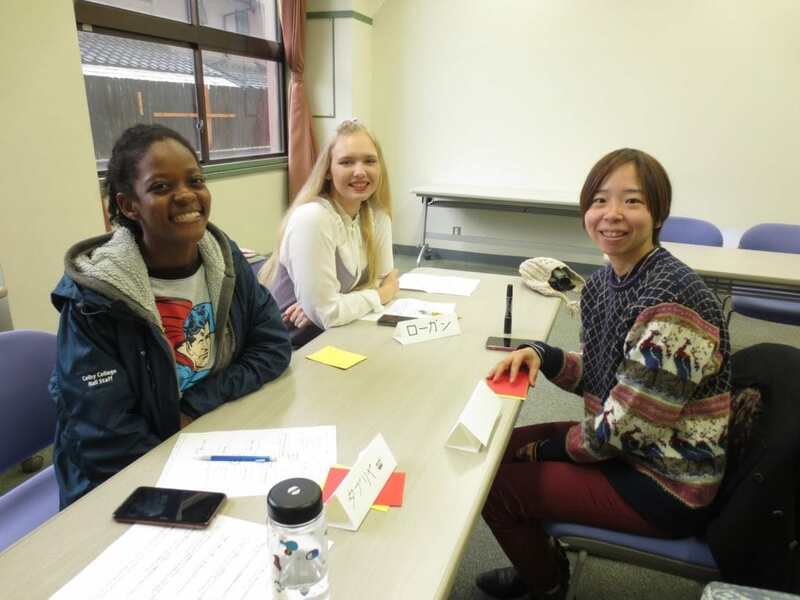 Although we’ve had quite a bit of rain lately in Kyoto, three Doshisha students volunteered to participate in our class discussions. 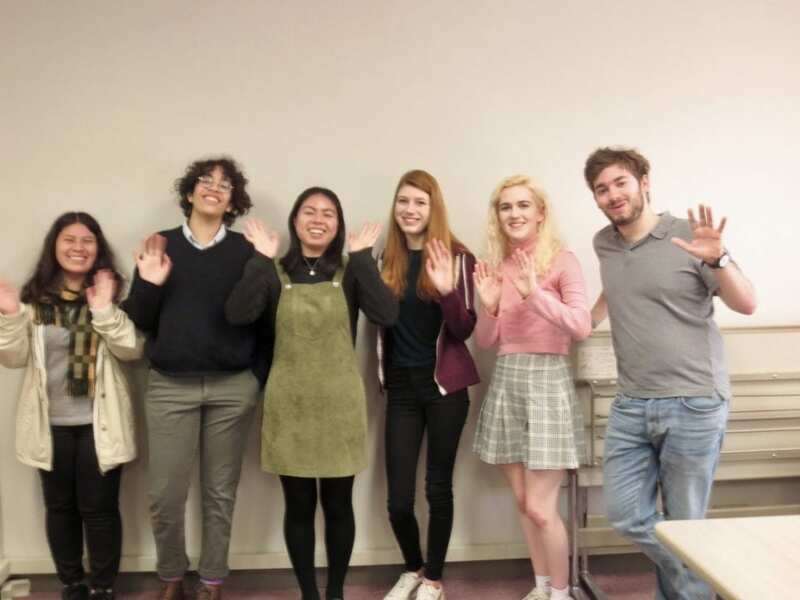 Keigo (honorific speech) and the dialect/people of Kyoto were the topics students began discussing, which quickly expanded into conversations about Japanese comedy, college majors, and job searches. Students covered lots of ground and learned a variety of new vocabulary words! After class, AKPers and Doshisha students went to lunch together at the cafeteria.